Each January, I spend one morning, usually towards the end of the month, gathering sources for great stationery. I do this to prepare myself for the year of birthdays, holidays and special occasions that lies ahead. I never like finding myself scrambling for a greeting card at the last minute, so I definitely plan in advance, often buying unique cards when and where I see them, stocking up so that I have extras for those impromptu occasions. Inevitably, I always return to Etsy. I like buying stationery at Etsy because there is so much on offer, usually with very unique designs that you simply can't find in stores. 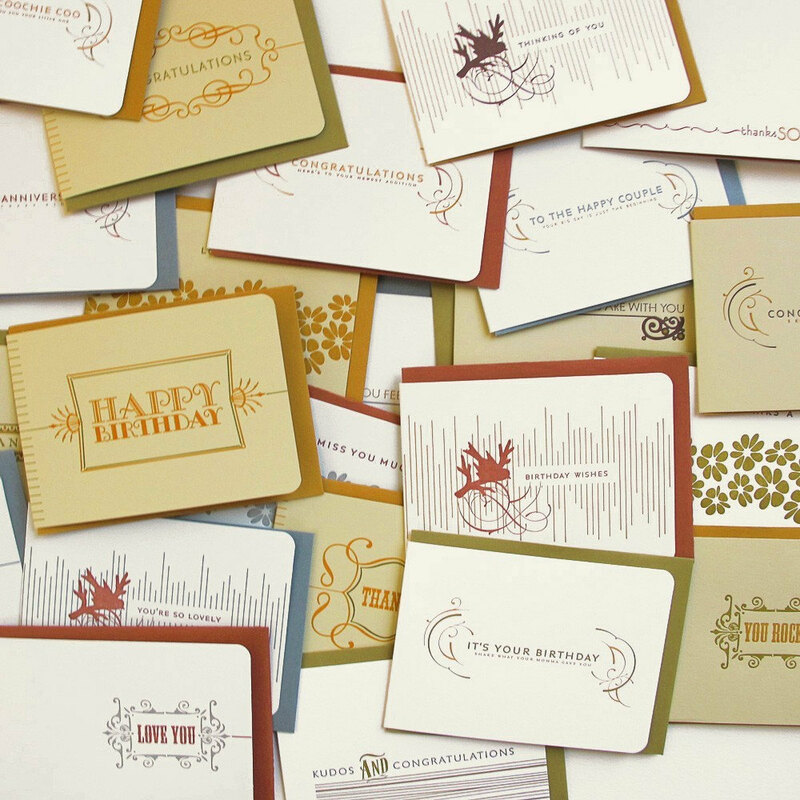 The fact that most of the greeting cards are handmade, often using time-tested printing techniques and tools, only makes them more special. Below I've shared some of my favourite stationers on Etsy. (Many of them have a lot of cards on offer for Valentine's Day!) Please take a moment to view them. 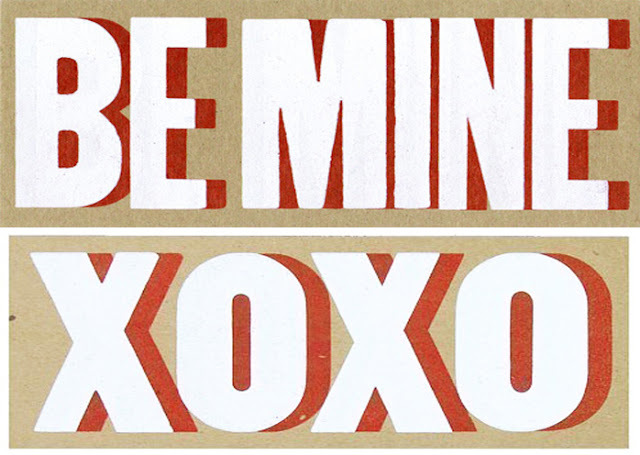 YEE-HAW PRINTMAKING: Based in Knoxville, Tennessee, this stationer and printmaker has Southern sass to spare. 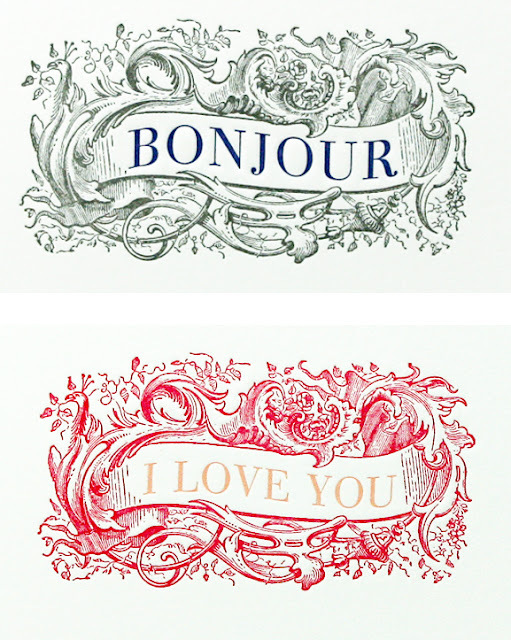 Many of her prints and cards contain witty puns and campy charm but there are still favourites for the traditionalists. 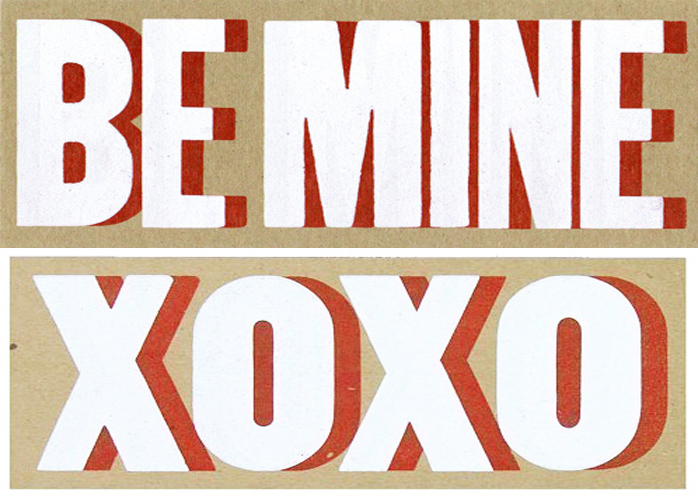 These oversized postcards above are ideal for Valentine's Day. Click here to see her store. 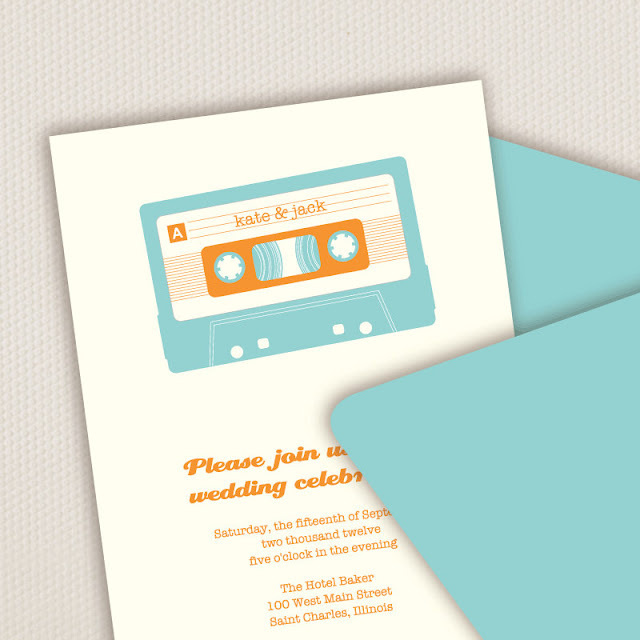 A FAVORITE DESIGN: Based in Chicago, this letterpress designer and printmaker was trained as a graphic designer. 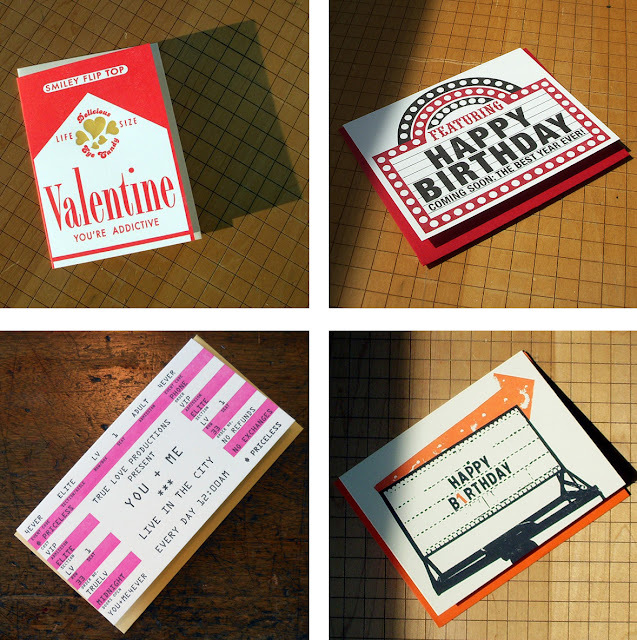 I've been a longtime customer of hers and I love the innovative and creative designs of her cards and stationery: a Valentine disguised as a movie ticket or a pack of cigarettes with the subheading, "You're Addictive." Brilliant! Click here to see her shop. ORANGE BEAUTIFUL: Another Chicago great, Orange Beautiful has been around for ages with an actual store in that city on Damen Avenue. They operate a fairly robust business and offer a plethora of cards and stationery with designs that are modern but that speak to all sorts of tastes. Click here to see their Etsy store. Click here to read their blog, and here to see their website. 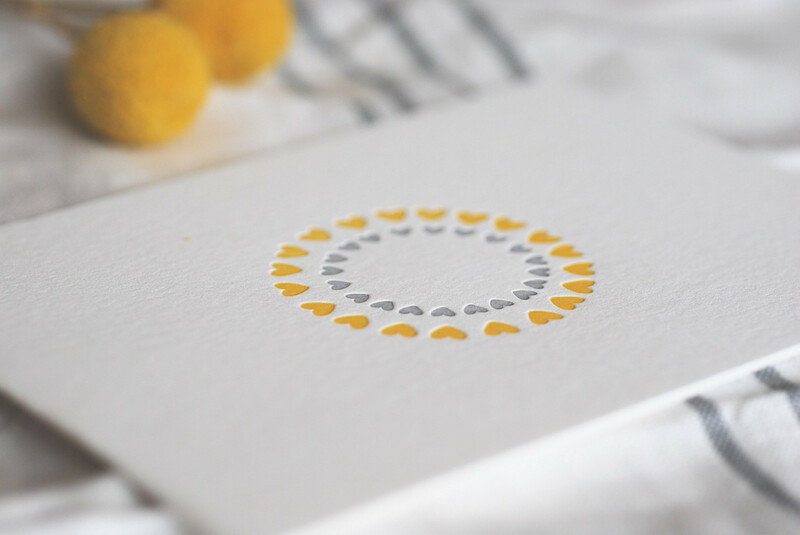 LETTERPRESS DELICACIES: Based in Austin, Texas, these guys offer crisp, clean designs, each one printed by hand. I'm particularly enamoured of the depth of the embossing and the quality of their paper, not to mention their simple but original designs. Click here to see their shop. SILHOUETTE BLUE: Megan Nutley in Forest Park, Illinois, is the proprietor of this lovely shop that specializes in personalized stationery and letterpress, such as the 'mixed tape' wedding invitation, above. What's interesting about this business is that it first began as a senior design project in art school! Her work is vibrant, colourful and bold. Click here to see her store. 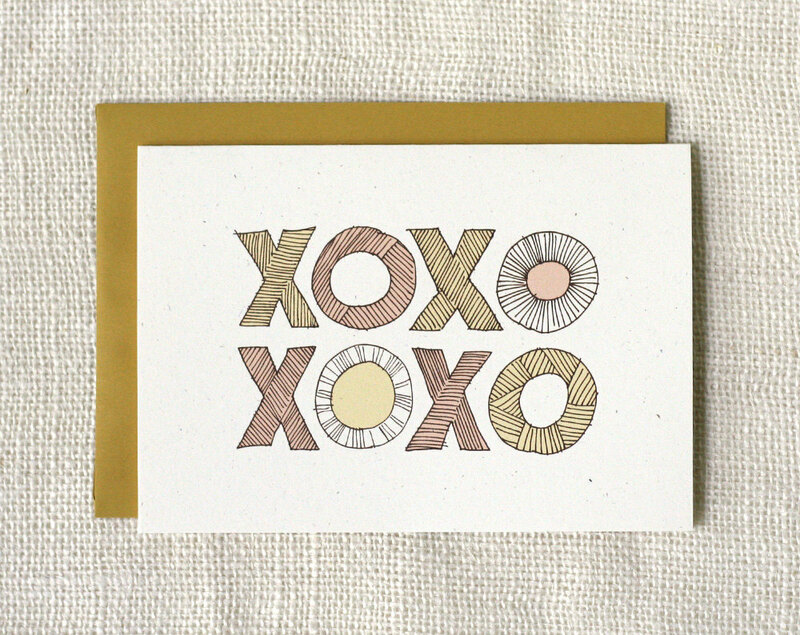 WIT AND WHISTLE: "Stylishly quirky paper goods" is their tag line and that was enough to sell me on this stationer, Amanda Wright, based in North Carolina. She offers a wide range of greeting cards, journals and prints with a whimsical touch. Click here to see her store. BY VIK INK: I've ordered greeting cards and card sets from this stationer in San Diego for years, including the designs shown above. 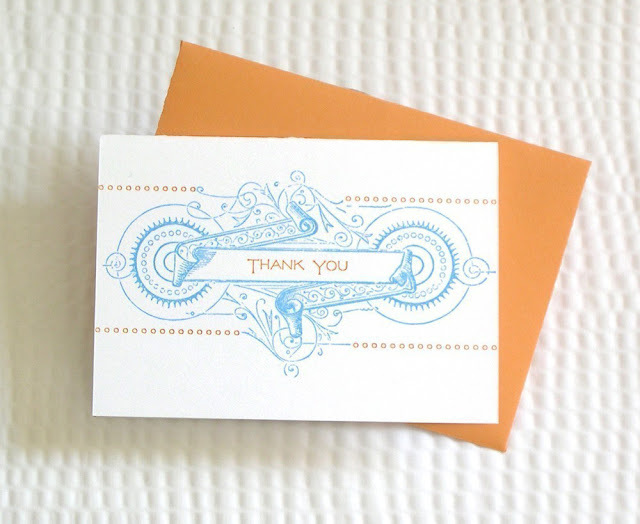 She offers really terrific customer service and a great selection of cards for a number of occasions. Click here to see her store. ARAMATO DESIGNS: Amy Armato is the founder of this little business based in Minneapolis. My 2011 Christmas cards were ordered here. Again, she offers wonderful customer service and plenty of personalized options for your stationery. Click here to see her store. SATSUMA PRESS: I have yet to order from Satsuma Press, based in Corvallis, Oregon, but I surely will. I've fallen in love with the delicate details of her designs. She calls herself a perfectionist and a firm believer in craftsmanship. I'm sold! Click here to see her work. SYCAMORE STREET PRESS: Heber City, Utah, is the home of this stationer, which I first discovered at work (Anthropologie) where we sell many of their cards. They use sustainable inks, which is nice, and their designs are so fresh and colourful with lots of imagination behind them, such as the letterpress fortune teller, above. Click here to see their Etsy store. Click here for their website and blog. Hi there! 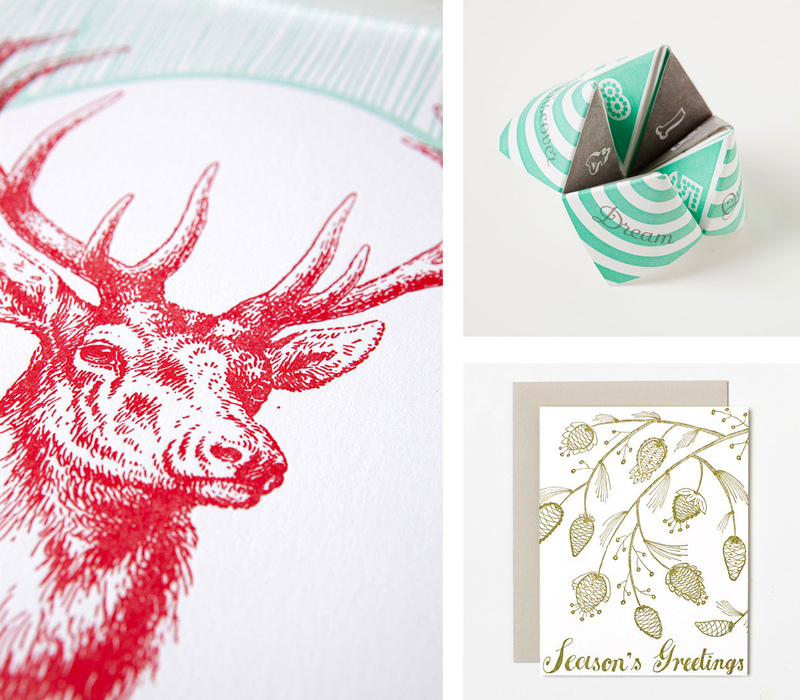 Thanks for featuring us alongside so many great stationers. i hope this finds you well & thriving this wonderful new year. i was greeted by an automated a. favorite design google search this morning, with a link to your lovely post. you blog is incredibly gorgeous & i just wanted to take a moment to say thank you for considering me a favourite etsy stationer. thanks again! hope your weekend is delightful. you've made my day.